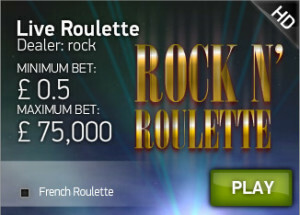 January 22nd 2016 – Rock N’ Roulette has gone live at BetVictor’s NetEnt live casino Victor Royale. The Rock N’ Roll inspired theme comes complete with live dealers dressed as Rockers, a backdrop of a major rock concert venue and in the background Rock Music. The dealers are very “Rock” focused, very much along the lines of the spoof DJ’s Smashie and Nicey from the hit UK TV comedy series by Harry Enfield. I actually laughed out loud when the dealer started speaking. It seems that to embrace the Rock N’ Roll feel you need to add the work “Rock” into each sentence. 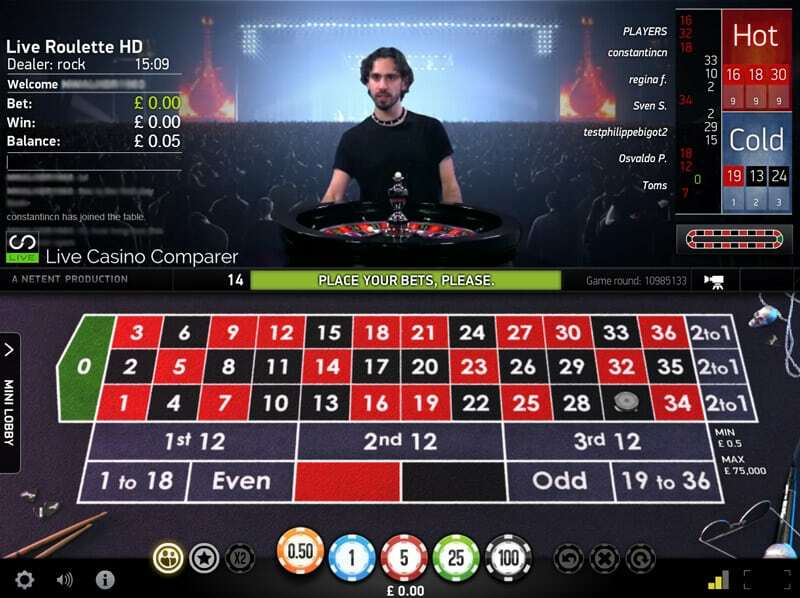 The game is actually European Roulette and you can choose from standard (the default) and French layouts. Stakes range from 0.50 to 75,000! 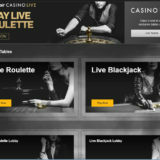 Almost co-incidental BetVictor have launched a promotion to support NetEnt release of their new Guns N’ Roses Slot. If you’re playing on the Rock N’ Roulette table and the number 21 is hit, whether you’re betting on it or not you will receive 20 Free Spins on Guns N’ Roses slot. You won’t quality if you’re making even money bets. This promotion is only available from 10:00 (GMT+1) on the 21.01.16 and 23:59 (GMT+1) on the 25.01.16. 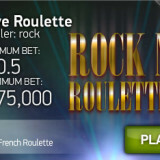 This promotion is only available on our Rock N’ Roulette table at Victor Royale Live Casino. Get 20 free spins on our new Guns N’ Roses slot every time you place an active bet on the table and the number 21 comes in. Even money bets do not qualify for his promotion. 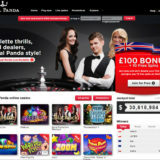 Free spins will be credited the following day. Free spins can only be used on our Guns N’ Roses slot, available on both desktop and mobile devices. Once all the free spins have been used any winnings will automatically be credited to your account in the form of bonus funds. The bonus funds must be wagered a minimum of 30 times before they can be released or withdrawn (e.g. if your initial bonus fund balance is £1.00, you will need to wager the equivalent of £1.00 x 30, i.e. £30.00). Wagering for the bonus funds can only be met our Guns N’ Roses slot, on desktop or mobile devices. The wagering must be met within 3 days, otherwise the free spins or bonus funds will expire. 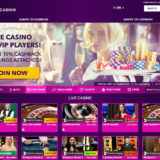 If you have more than one casino bonus award in your account, any wagering of the bonus funds must be completed one promotion at a time, and will begin with the first promotion awarded. Once this is completed, wagering on the next bonus can be triggered. Your Real Cash balance will always be used for wagering before your bonus funds balance. This promotion is open to players of those jurisdictions where participation is legal.